The founder of ‘cultural Zionism’. Ahad Ha’am (Hebrew for ‘one of the people’) is the pen name of Asher Ginzberg, an outstanding Hebrew essayist whose writing has had a major influence on contemporary Jewish thought. He was born in 1856 into a pious Hasidic family in Skvire, in the Kiev province of the Russian Ukraine. When he was twelve his family relocated to a remote rural estate. As an adolescent he read modern philosophy and science, which led him away from his religious upbringing. 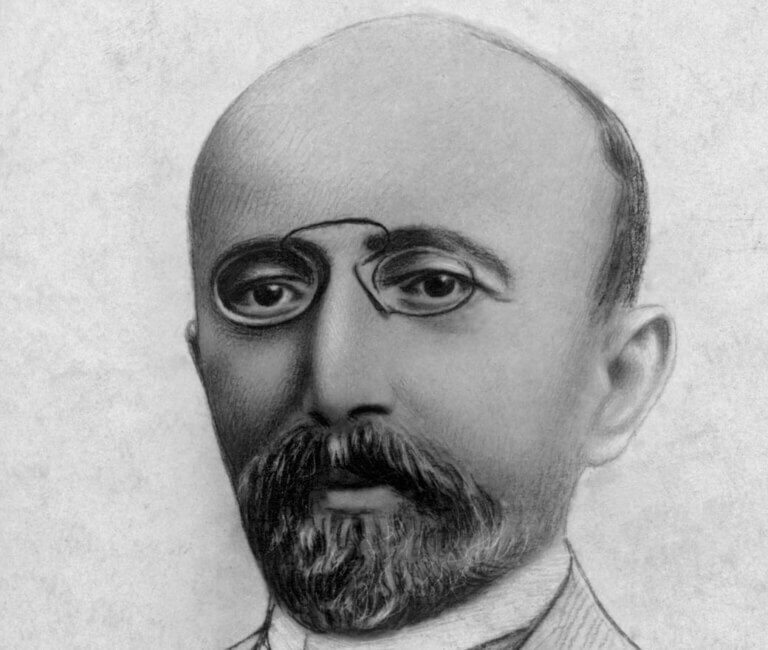 In 1884 he moved to Odessa, a centre of the Haskalah (Jewish Enlightenment), where he promoted Jewish revival on a secular basis. He is remembered as the founder of ‘cultural Zionism’ and as a stern critic of the political Zionism of Theodor Herzl. In 1907 he moved to London, eventually settling in Tel Aviv, where he died in 1927.